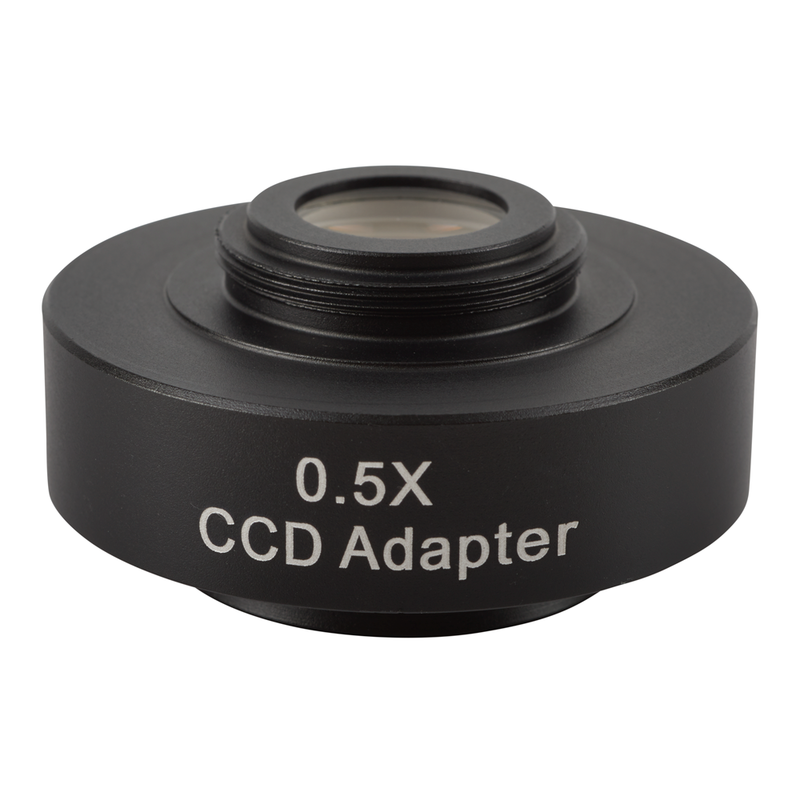 C-Mount adapter with 0.5X reducing lens, for OM159-T trinocular stereoscope. C-Mount Adapter with 0.5X reducing lens. Appropriate for 1/2" sensor camera devices and similar. 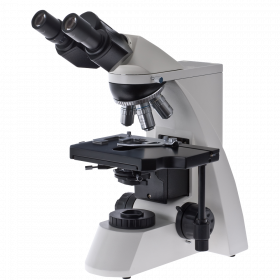 Replaces trinocular tube and provides industry standard, focusable C-mount (male), compatible with Omano OM159-T trinocular microscope and all standard C-mount imaging devices. Integral focus control ring allows parfocal adjustment. Ideal FOV for 1/2 inch sensor. NOTE: Fits OM159T models only. 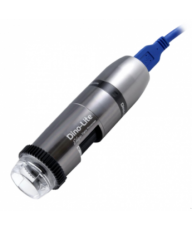 This product is not compatible with any other Omano microscope. 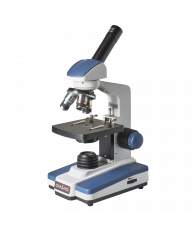 The Omano OM159 is available in either binocular or trinocular format and is simply our best Omano compound microscope. 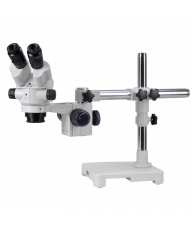 Designed for university and laboratory applications, it features infinity corrected optics with five full planachromatic objectives in a rear-facing quintuple nosepiece. Premium Kohler halogen illumination, "windowpane style" super-widefield 10X eyepieces and fingertip controls round out a full range of professional features.OpticsA Seindentopf microscope head includes infinity corrected optics with SWF 10x eyepieces for 'window pane' viewing. The head can rotate through 360 degrees for flexible viewing positions. Interpupillary adjustment is 55-75mm with a single left ocular diopter for individual eye focusing. 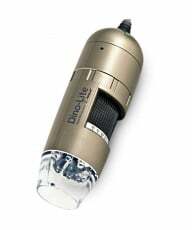 The optical unit is powered by five infinity corrected planachromatic objective lenses (4x, 10x, 20x, 40x spring, 100x spring oil immersion) set in a rear-facing quintuple click-stop nosepiece. Both the 40x and 100x objectives are spring-loaded to mitigate the risk of damage to the slide or objective. 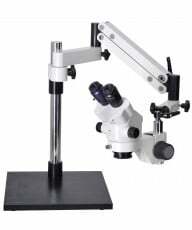 Magnification levels include 40x, 100x, 200x, 400x and 1,000x.Stage & FocusA large double-layered mechanical stage measures 210mm x 140mm and includes spring-loaded slide clamp with dropdown coaxial controls for convenient 'eyes down' operation. The stage range of movement is 75mm x 50mm. Focusing includes high quality rack and pinion mechanics for longer life and coaxial coarse/fine focus controls for easier focusing.The fine focus scale value is 0.002mm. The right hand focus control features finger tip controls while a convenient feature is the dimmer switch located immediately under the left hand focus control. As a result, both controls can be operated 'eyes down'. Safety features include a rack stop to ensure that the stage does not impact with the objectives and thereby break the slides, and a slip clutch control to mitigate the risk of damaging the focus controls through over extension.The condenser is a professional Abbe 1.25 N. A with iris diaphragm and filter for optimal adjustments. Higher quality Kohler illumination is powered by 6V 20W halogen with variable intensity.